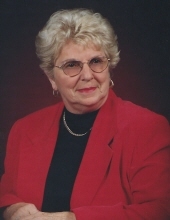 Mrs. Barbara Sue Vaughn of Greensburg, Kentucky, daughter of the late Guy Childress Dohoney and Cassie Allene Coffey Dohoney, was born on Sunday, January 17, 1937 in Santa Ana, Orange County, California and departed this life on Saturday, November 17, 2018 at the Bowling Green Medical Center. She was 81 years and 10 months of age. She had made a profession of faith in Christ, was a member of the Greensburg United Methodist Church and United Methodist Women's Group. She was a Licensed Beautician for 50 plus years and Owner and Operator of Sue's Beauty Salon. Survived by her husband of 62 years, Milton Anderson "Mickey" Vaughn of Greensburg, having united in marriage on December 20, 1955. Other survivors include a son and daughter-in-law: Mark and Catherine Vaughn of Bowling Green; three grandchildren: Maggie Vaughn, Cassie Vaughn, and Charlotte-Ann Vaughn all of Bowling Green; a sister: Kathy Shuffett of Campbellsville; and a host of nieces, nephews, other relatives and friends. The funeral services for Mrs. Sue Vaughn will be conducted at 11:00 A.M., Central Time, Wednesday, November 21, 2018 at the Greensburg United Methodist Church with burial to follow in the Greensburg Cemetery. Bro. Dale Curry Officiating. Cowherd and Parrott Funeral Home in charge of the funeral arrangements. Visitation is requested from 4 P.M. until 8 P.M., Central Time, Tuesday at the Cowherd and Parrott Funeral Home and after 9 A.M., Wednesday at the church until time of the funeral service. The family has asked that expressions of sympathy take the form of donations to the Greensburg United Methodist Church Building Fund or the American Cancer Society, which can be made at the funeral home. To plant a tree in memory of Sue Vaughn, please visit our Tribute Store. "Email Address" would like to share the life celebration of Sue Vaughn. Click on the "link" to go to share a favorite memory or leave a condolence message for the family.